Top Animation News: MIPCOM 2018, new COEs, Crazy Rich Asians and more! Top Animation News is a weekly column that rounds up the biggest, best and breaking stories from the world of animation. This edition covers October 7 to 12, 2018. 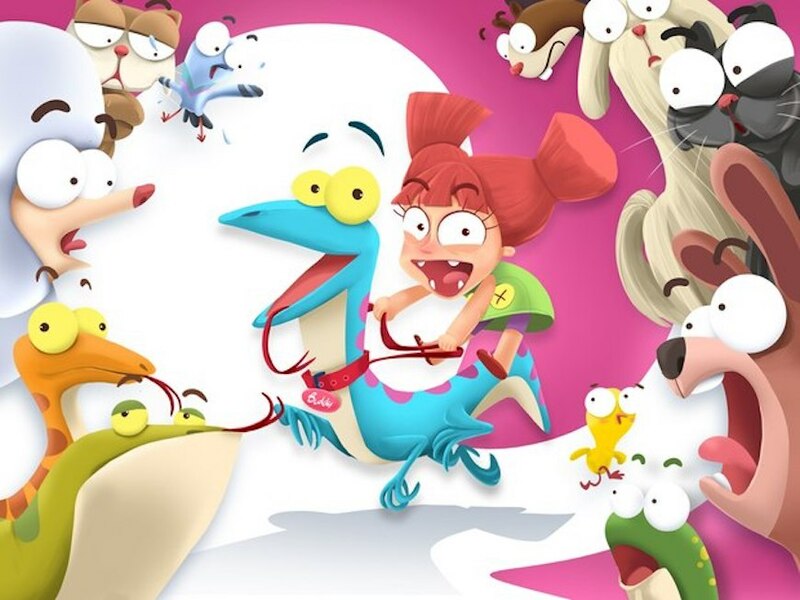 Toronto-based animation production company Guru Studio will be launching its biggest slate of original programs ever at MIPCOM next week (October 14 to 18). The three kids’ series include Pikwik (Disney Junior U.S.), True and the Rainbow Kingdom (Netflix and the top-rated children’s show on CBC) and Big Blue (CBC), the latter of which is produced in Toon Boom Storyboard Pro and Toon Boom Harmony. Head over to “Animation Magazine” for more on Guru Studio’s MIPCOM 2018 slate. Toon Boom is extending its training reach and ensuring high-quality 2D animation education is available where its needed, particular as the industry becomes increasingly global. To that end, the Montreal-based company opened three new Centres of Excellence (COE) on three continents: Universidad de Las Américas (UDLA) in Chile, The Animation School in South Africa and Bezalel Academy of Arts and Design in Israel. The Toon Boom COE recognition indicates an institution offers exceptional academic programs for animation and storyboarding in the brand’s industry-leading software. 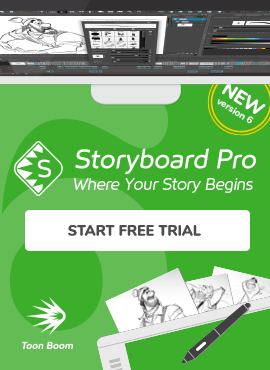 Learn more on the Toon Boom Centre of Excellence page. This has been a big year for Adele Lim. The Malaysian scribe was a screenwriter on runaway hit Crazy Rich Asians and is now attached to an untitled Disney fantasy-adventure animation feature. She is joining Moana producer Osnat Shurer and House of Mouse story artists Paul Briggs (Frozen) and Dean Wellins (Zootopia), who will be making their directorial debuts. While the plot is still TBA, word is the film will have an Asian element and be female-led. Get all the crazy early details on “Deadline”. Kidscreen’s 2018 Asian Animation Summit is taking place in Seoul, South Korea from November 28 to 30, with 30 news projects to be showcased. They are coming from creators in Korea, Indonesia, Australia, Malaysia, Thailand, China and New Zealand, and will presented in moderated live pitches. The Asian Animation Summit will bring together an anticipated 250 attendees interested in co-producing projects in APAC as well as broadcasters, distributors and investors from the region and around the globe. See the full list of projects to be showcased at the 2018 Asian Animation Summit on “Animation World Network”. Cartoon Network has partnered with Black Women Animation (BWA) on its first-ever Boot Camp Training at its studio in Burbank, California. BWA’s members and extended community will have the opportunity to develop and enhance their animation skills across an intensive training day. This will include master classes and panels with industry leaders. “Black Women Animate is committed to shifting culture through meaningful diversity and inclusion efforts. This Boot Camp is just the beginning of us giving our base the support they need to soar,” says BWA founder and CEO Taylor K. Shaw. Catch up on the Cartoon Network x Black Women Animate partnership more on “Deadline”. Irish Minister for Finance Pascal Donohoe announced in his Budget 2019 speech that Section 481 tax relief for the film industry would be extended to 2024. Previously, its deadline was 2020. Animation Ireland, which represents Irish studios, notes the national toon market employs 1,500 high skilled staff and injects €100 million into the economy. The Section 481 extension will help these figures continue to grow. Venture over the “Animation World Network” for more on the Irish tax incentives. Once Upon a Zodiac is an animated feature being produced by Toonbox Entertainment and GAMA Entertainment, and will star Chinese film star Jackie Chan as Zell — an elderly cat sage who sees his species as the stewards of the Zodiac, and maintainers of traditions and balance amongst the animals. He will also serve as executive producer. Written by Daniel Persitz and Devon Kliger, Once Upon a Zodiac is currently in production in Toronto. Discover more Once Upon a Zodiac details on “The Hollywood Reporter”. Industry publication “Cartoon Brew” spoke to a global group of animation professionals about what they’ve been enjoying recently. The criteria was loose, ranging from cartoons to live-action films, currently playing to classic pieces. Director Cinzia Angelini selected Team Supreme as one of her recommendations. The series is in development by Leonard and centres on a diverse group of superheroes who have special needs, and is being produced in Toon Boom animation software. Watch the Team Supreme promo above and see the full recommendations list on “Cartoon Brew”. The British Film Institute (BFI) announced the Animation Tax Relief (introduced by Animation UK) has been massively beneficial to the national market since its introduction five years ago. British production expenditures hit £97.1 million in 2016, up 27 percent over 2013. This amounts to an ROI of £4.44 for every £1 of tax relief. The scheme also directly led to the creation of 1,550 production jobs. The overall contribution of the British animation sector is £911.9 million. Dig into the British Animation Tax Relief details on “Animation Magazine”. Explore Adam Burke’s life and animation career on “ComicBook.com". Banner image source: Guru Studio.